This morning, the kids and I were ahead of schedule. This was quite the accomplishment because Bryson was out of town. Y’all. We were way ahead of schedule and I had time to fix my hair. We were going to get to school early even if we had bad traffic. But y’all. My kids turned into the slowest sloths of all the precious earth when I asked them to put their shoes on. Sloths. I was frustrated. Though we had enough time to encounter bad traffic on our commute, apparently my kids turning into sloths takes even more time than bad traffic on Yale. I had another migraine headache and was sighing. Mandy. 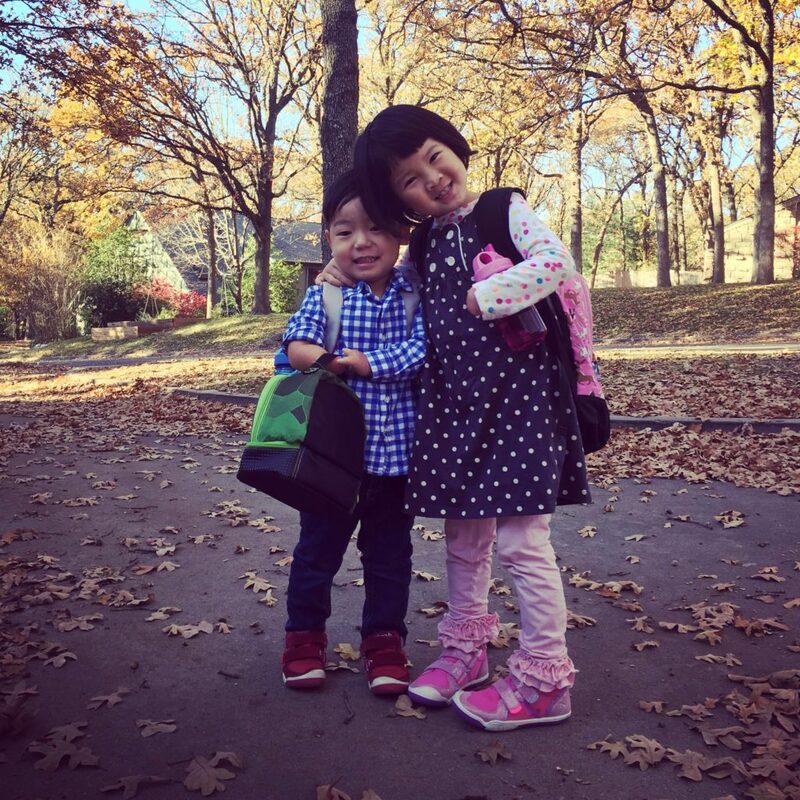 This time last year, you weren’t rushing to get to preschool on time. You were rushing to China to adopt your son. Breathe. Take in this moment. He is here with YOU – he is no longer in an orphanage. They are more precious than time. Be patient. But I stopped them, told them to smile, took the moment in, snapped a photo, and apologized. I let them stomp all through the leaves. Cutest sloths on the planet earth.